Monsoons bring with them a host of opportunities for us to make memories and these memories don't come with a huge price tag. All you need is light showers, good company and an array of crispy, crunchy and spicy goodies to savour. Simple pleasures in life are most memorable, just like the distinct aroma of wet mud and the sound of rain tapping our window panes. Mention rain, and the thought of garma-garam pakoras instantly follows. Blame our favourite movies and books for fueling the said craving, but monsoons now are just incomplete without these crispy delicacies. These satisfyingly crisp treats are the perfect companions to a hot cup of tea on a rainy day. 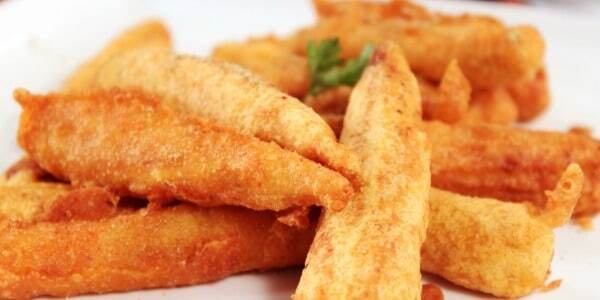 Chop up your favourite veggies or meat, dunk them in batter and fry away a quick snack. Dip in freshly made chutney and lose yourself to the crunch. We bring to you five speedy pakora recipes to indulge in a quick monsoon treat. Ready to load up on some crunchy goodness? Among these 5 pakora recipes, Moong dal, kasoori methi and green chillies teamed up with the sweet taste of raisins is the best to have. Step away from the obvious! Chunky raw bananas coated with freshly made chaat masala, dipped in batter and fried crisp. Serve with a peppy tamarind chutney. Mango powder and anardana dominate the flavourful batter. 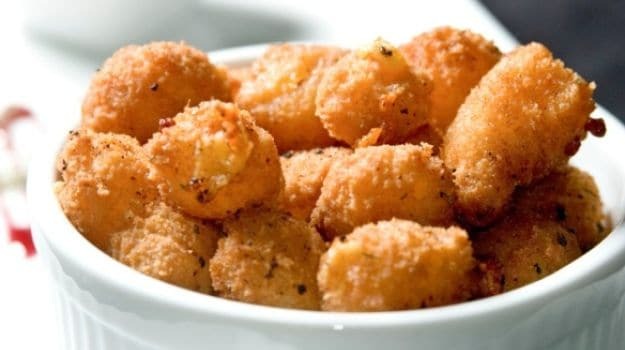 Every bite of this fantastic fried snack will leave you craving for more! 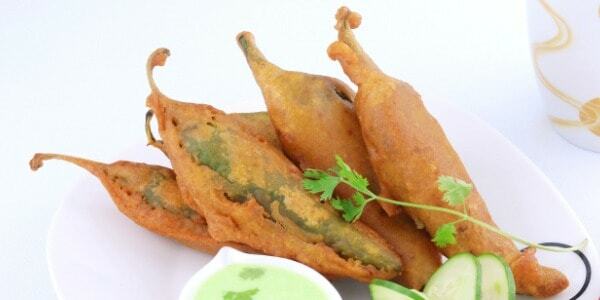 Lovely green chillies are stuffed with a potato filling, battered and fried. You'll be coming back for seconds before you know it. 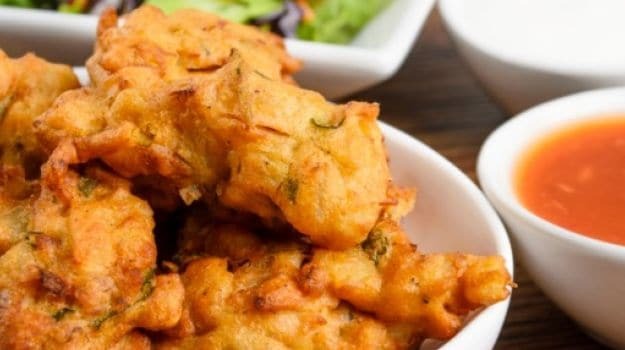 This is one of the best 5 pakora recipes that you can ever make. Tuck into these perfectly crisp pakoras made with baby corn. Blanched baby corns are coated with a spice paste, dipped in batter and fried golden. Forget the same old aloo pakoras and try these 5 pakora recipes instead. Do tell us, which one did you like!